An Iranian-linked terrorist group has released a statement threatening attacks on American and British targets in the Kingdom of Bahrain. 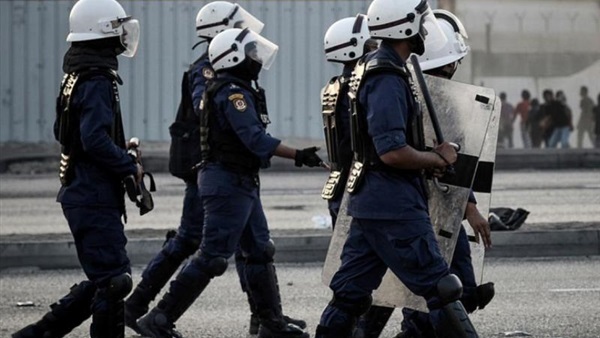 Saraya al-Ashtar, also known as the al-Ashtar Brigades, have claimed responsibility for more than 20 attacks in Bahrain, mainly against police officers and security forces. They were added to a designated terror list by Saudi Arabia, UAE, Bahrain and Egypt. After adding two people affiliated with Saraya al-Ashtar to its terrorist list in 2017, the US State Department said in a statement that the “actions follow a recent increase in militant attacks in Bahrain, where Iran has provided weapons, funding, and training to militants,” the State Department said in a statement. The group changed its logo last year, with branding on its flags resembling those of Iran’s Islamic Revolutionary Guard Corps (IRGC). In the past, large quantities of advanced Iranian weapons shipments and explosives, including armor-piercing explosively formed penetrators (EFPs), were intercepted by Bahraini authorities. “Saraya al-Ashtar has not claimed any attacks since 2017, however, today’s video is meant to show that the group, despite Bahraini security operations against it, is still alive,” a report by the Foundation for Defense of Democracies released on the terror group’s video statement read. “And while Saraya al-Ashtar has yet to claim any attacks on American or British personnel or institutions in Bahrain since its inception in 2013, the video reaffirms that it, and Iran, see these countries as legitimate targets,” the report added. According to Bahrain observers, Saraya al-Ashtar are known for perpetrating what many have called “single worst incident of terrorism on Bahraini soil” when in March 2014, members of the terror group carried out an attack that claimed the lives of Bahraini police officers Ammar Abdu-Ali al-Dhalei and Mohammed Arslan Ramadhan and Emirati officer First Lieutenant Tariq al-Shehhi.